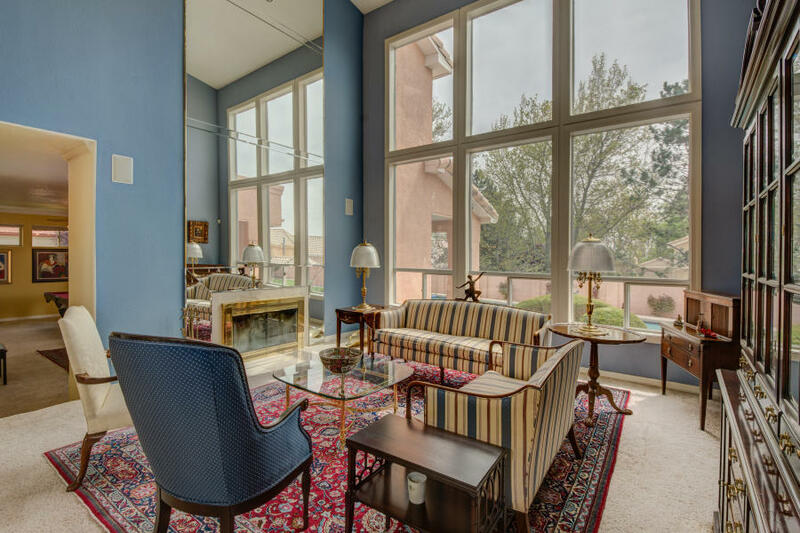 Double Eagle NE, one of the most prestigious streets in the Country Club Estates at Tanoan a gated Golf Course Community. This extraordinary home features spaciousness everywhere with formal and informal living and dining areas, a butler’s pantry, eat-in kitchen, 5 bedrooms w/office, exercise room or nursery, 6 bathrooms, a pool room and all on a lush .41 acres with expansive outdoor living spaces. Beautiful mature landscaping with trees, manicured shrubs, plenty of cool grass for kids and/or pets, covered patio, deck off the master retreat overlook the sparkling in-ground heated, saltwater pool. The perfect place for entertaining friends and family or relaxing in the perfection of your own oasis in this luxurious estate. 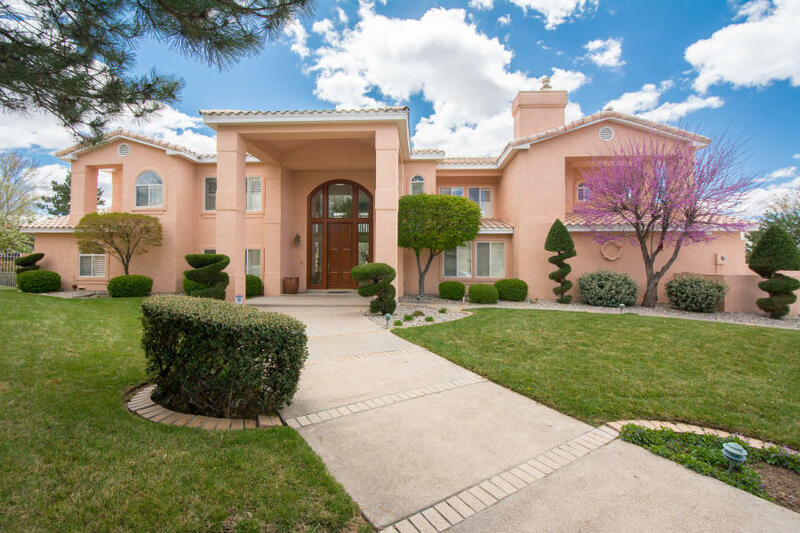 Call today this could be your ABQ Dream Home!